Outdoor play has been scientifically proven as one of the most critical aspects of a child’s development. Adults may consider it simply a luxury children are entitled to enjoy, but nothing could be farther from the truth. Physical playtime creates the wiring in children’s brains that helps them understand how to overcome obstacles, communicate, deal with frustration, exercise their imaginations, and gain an appreciation for physical activity. This can all be compromised if the playground surface doesn’t provide a cushion and protection when they fall. PowerBase PLAY brings a new level of precision and consistency to playground surfacing. 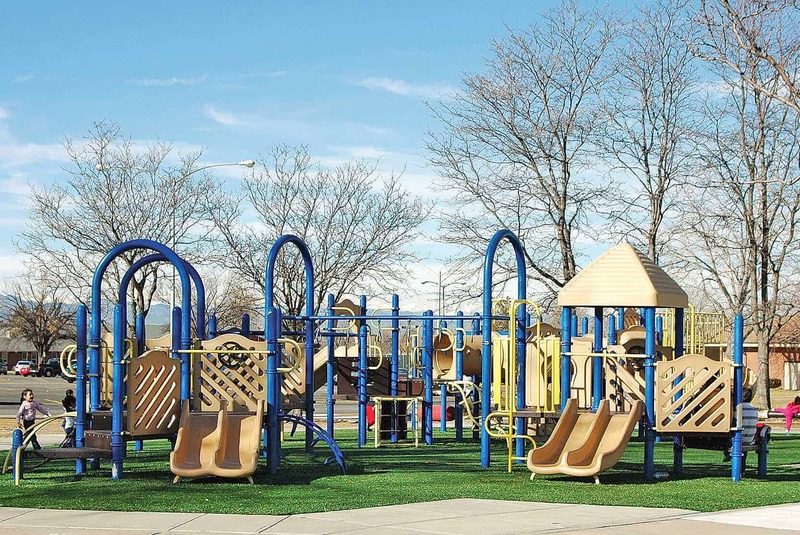 When combined with a quality artificial turf surface the playground becomes more natural looking, lasts longer than poured in place systems, and most importantly, produces high critical fall height ratings, since the safety of any playground surface is always a priority. And when the turf is replaced, Brock PowerBase PLAY is reused for the next turf cycle. Overlapping design ensures consistent surface. Mechanic interlock molded in each panel. Friction top surface and millions of drain holes. Continuous drain channels for water evacuation. Bottom view of overlapping design. Graded pyramids keep surface stiff but improve Critical Fall Height. Why Everyone’s Using A Shock Absorbing Pad? 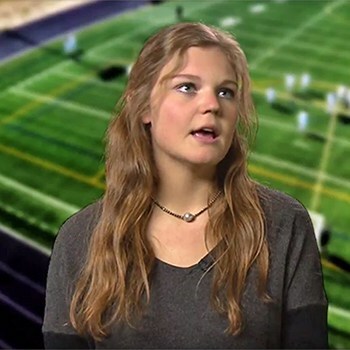 Growing concern and media attention on concussions. 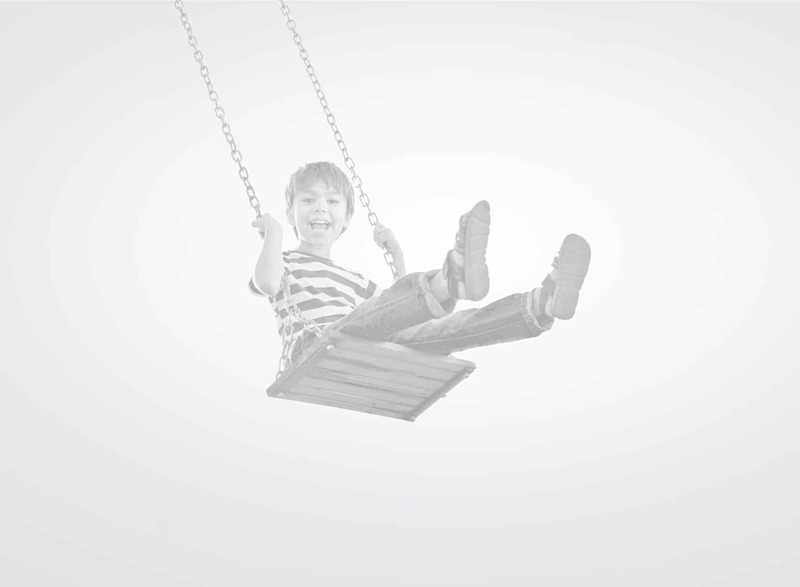 At Brock we believe that children’s safety is of paramount importance and we recognized the need for a more consistent, engineered product, designed specifically for playground safety. As an industry leader with over 30 years’ experience developing safety-related products, in 2010 the Brock team introduced PowerBase PLAY™, a technologically advanced and environmentally sustainable system for children’s playgrounds. Each PowerBase PLAY™, panel is individually manufactured and inspected for quality. 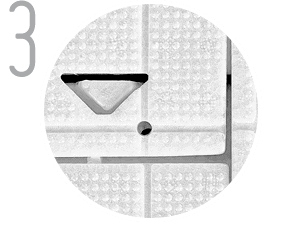 Each feature of the panel optimizes function for predictable safety, drainage, surface stability and precise fit. 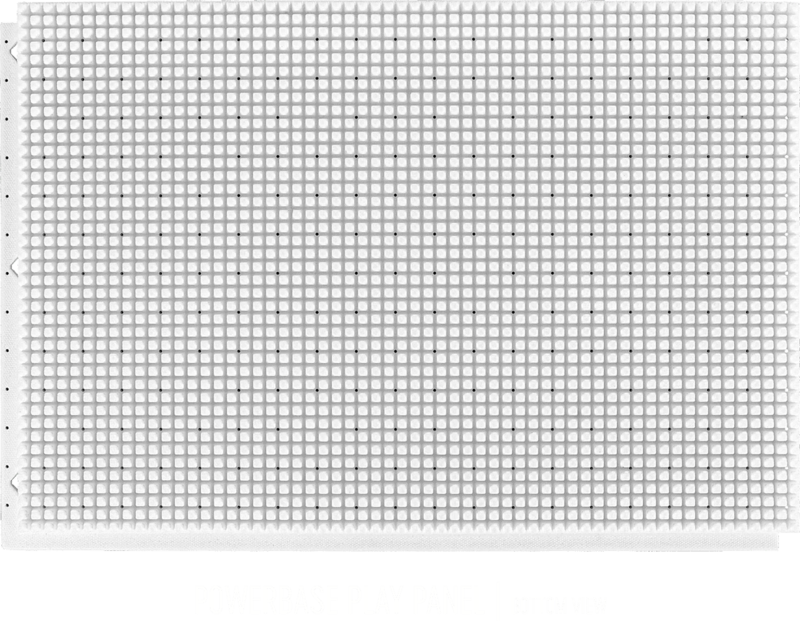 PowerBase PLAY™ is produced from 100% pure high-grade expanded polypropylene. 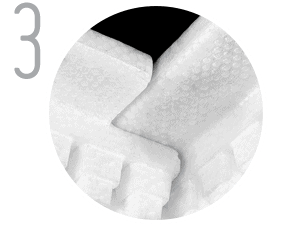 This non-toxic and highly durable material will not decay or degrade. 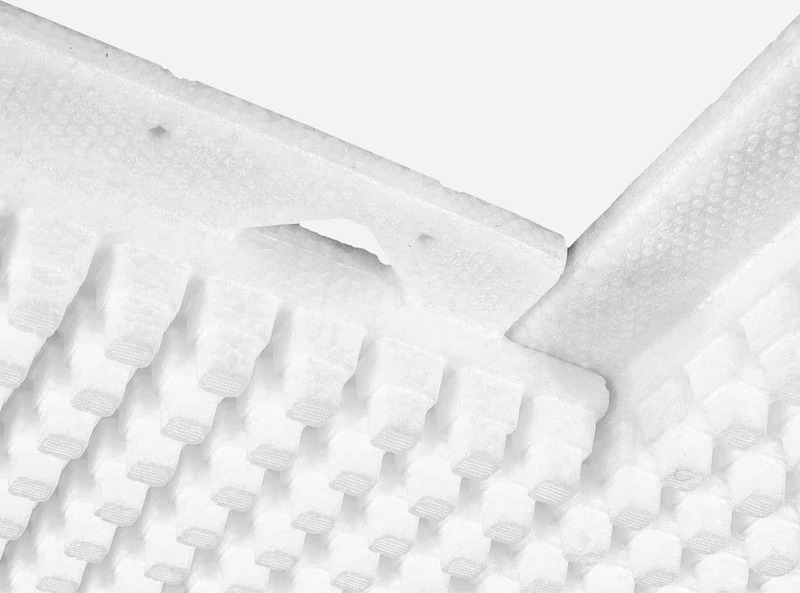 PowerBase PLAY™ is resistant to bacteria, fungi, and chemicals, is 100% recyclable, carries the coveted Cradle to Cradle Certification and complies with the most stringent environmental standards. 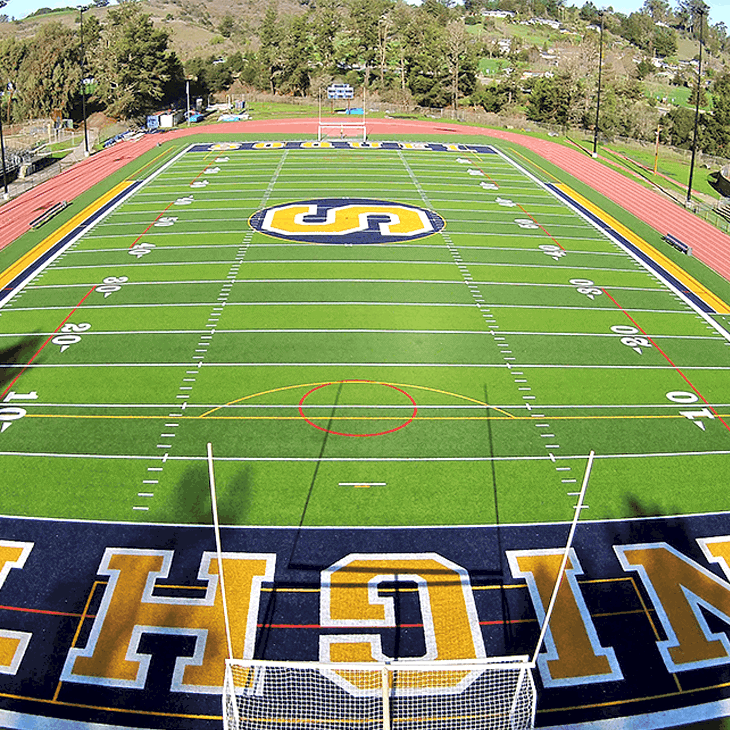 PowerBase PLAY is specifically engineered as a safety underlayment for artificial turf for playgrounds. When the turf surface is replaced, PowerBase PLAY™ remains and is re-used under the new playground, reducing future costs. 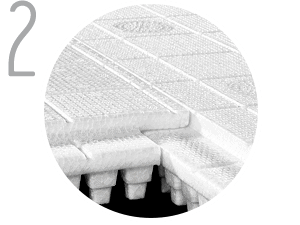 PowerBase PLAY™ is a multi-functional system serving both as an impact absorbing safety layer, and a valuable component of the sub base construction. 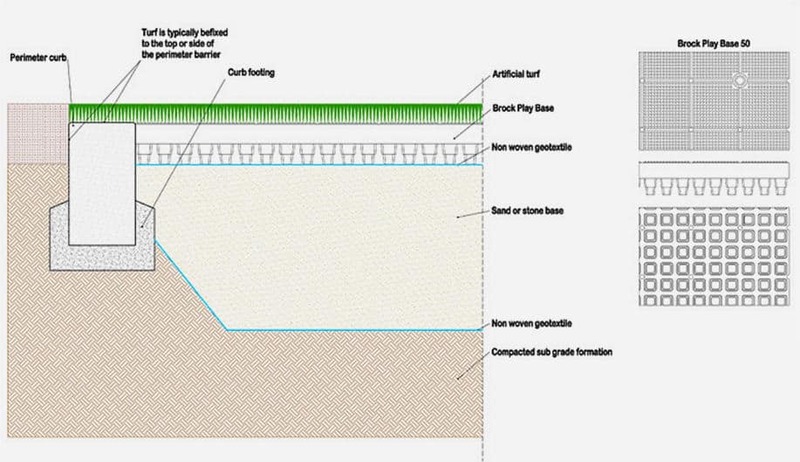 As an effective thermal insulation layer, PowerBase PLAY™ protects the underlying soil from frost heave that can cause permanent deformation to a playing surface. PowerBase PLAY™ also incorporates a complete vertical and lateral drainage system, which can be installed over permeable or impermeable base constructions, offering multiple design solutions. The drainage capability of PowerBase PLAY™ results in a reliable, efficient draining play area, while also addressing water storage for storm water management. The PowerBase PLAY™ 50 system when installed, can store up to 25mm of rainfall in-between it’s impact absorbing pistons. 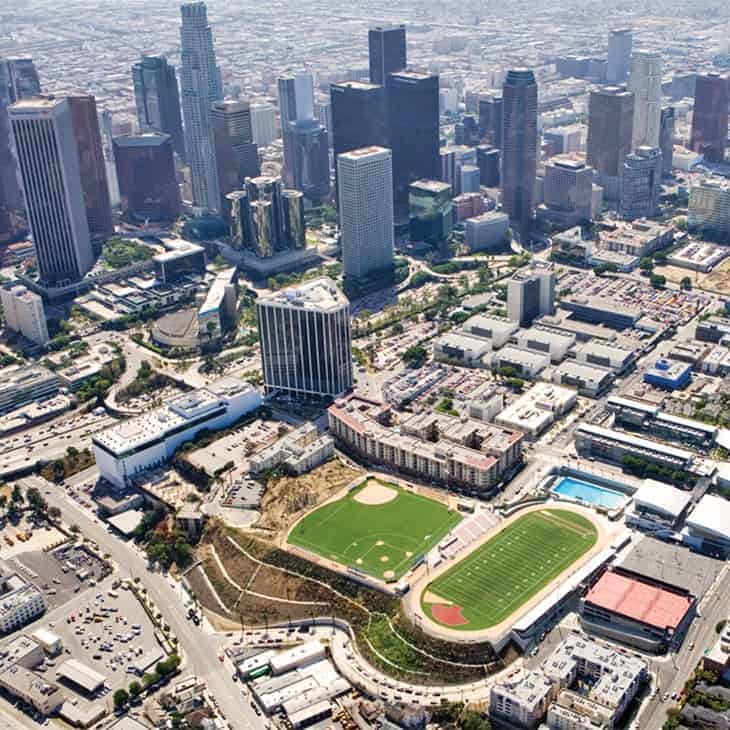 All PlayBase™ systems are designed as a lateral drainage medium. This allows the system to be installed over an impermeable base with a simple edge drainage system. 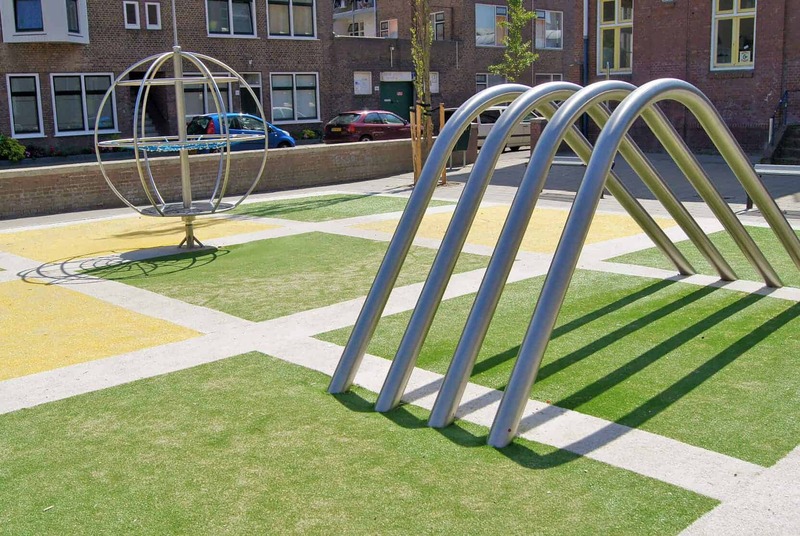 PowerBase PLAY is manufactured in an ISO-certified facility, will not decay or degrade over time and is resistant to bacteria, fungi and chemicals. The quality and performance of PowerBase PLAY doesn’t change with time, so years of reliable safety are guaranteed. In fact, Brock offers a 20-Year Warranty on all its PowerBase PLAY products. That’s serious peace of mind for the installer and owner. 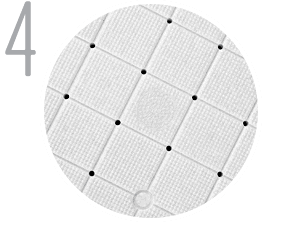 PowerBase PLAY™ is designed to create a 100% consistent surface with an elevated degree of safety, year after year, in any climatic condition. 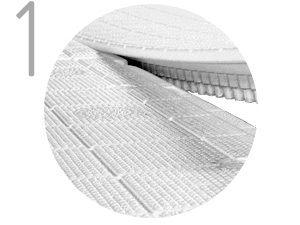 The performance of the PowerBase PLAY™ system remains consistent in cold and warm temperatures and as a closed-cell foam, is non water absorbent. Head Injury Criterion or H.I.C. is the international safety standard for playgrounds (ASTM F1292 / EN1177). This test determines the risk of a brain injury as a result of an impact with a surface. Understanding the H.I.C. of a playground surface is to accurately predict the likelihood of a moderate, severe, or catastrophic head injury. 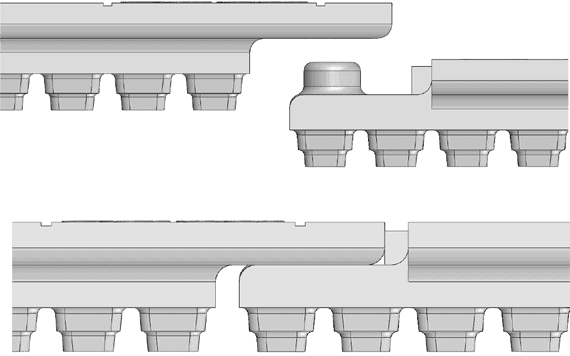 Brock’s patented design of Impact-absorbing pistons on the bottom of each PowerBase PLAY™ panel, together with a unique overlapping joint system have been specifically engineered to provide optimal and consistent H.I.C. test results with multiple surfacing systems. PowerBase PLAY™ is a component of TerraSoft® artificial turf systems for children’s playgrounds and multi-use areas, and can also be installed in combination with other artificial turf systems for the safest and most consistent surfaces on the market today. For more information, contact Southwest Greens. POWERBASE/PLAY™ IS A COMPONENT OF TISANOS ARTIFICIAL TURF SYSTEM FOR CHILDREN’S PLAYGROUNDS AND MULTI-USE AREAS, AND CAN ALSO BE INSTALLED IN COMBINATION WITH OTHER ARTIFICIAL TURF SYSTEMS FOR THE SAFEST AND MOST CONSISTENT SURFACES ON THE MARKET TODAY. For more information, contact Technoah. 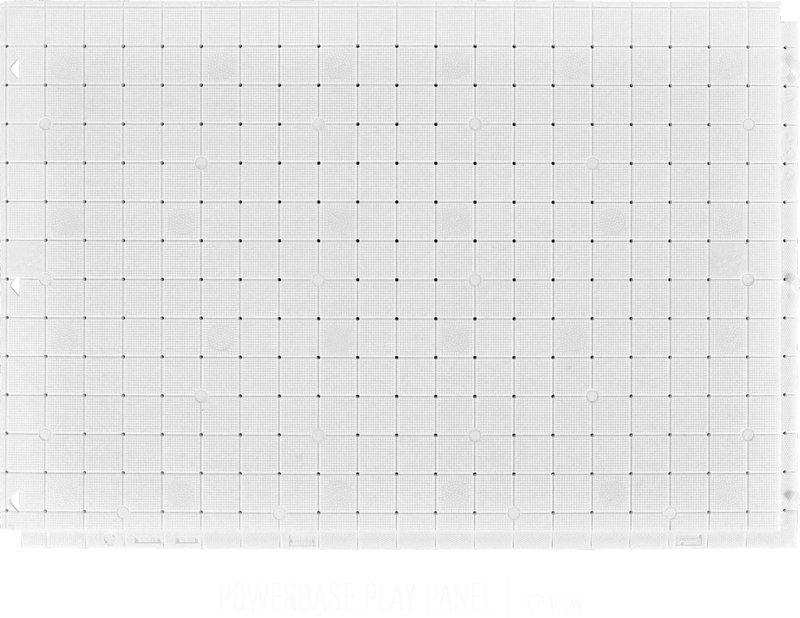 PowerBase PLAY™ panels install with maximum precision using a unique patented interlocking system, thus eliminating the need for glues or tapes. PowerBase PLAY™ has been engineered as a dimensionally stable system that can be installed in virtually any climatic condition. A typical complete playground surface installs in a matter of hours. 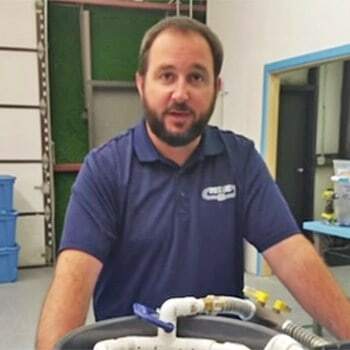 Brock has eliminated the concept of waste with its innovative performance systems. 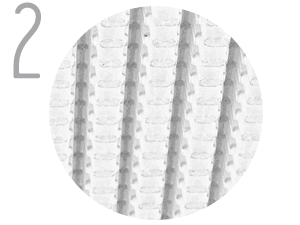 We design products with life cycles that are safe for human health and the environment and that can be reused perpetually through continuous recovery and reutilization. Brock uses an eco-effective approach to design that allows manufacturers and customers to celebrate the quality of materials used in a product. The central idea behind this concept is that a product must be created in such a way that it becomes an asset following its initial use, not a liability. PowerBase PLAY™ is manufactured as an interlocking panel system with the highest quality expanded polypropylene, well known for its longevity and environmental safety. After decades of use, the panels can be easily removed, cleaned and be ready to begin their next life as a quality, durable material with minimal use of additional energy or waste. 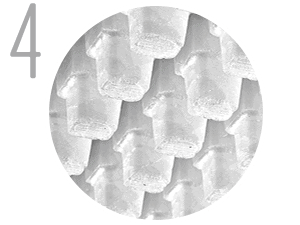 Alternatively, as a pure mono-component material, the panels can be easily recycled and remade into other quality products, eliminating the demand for new fossil fuels. 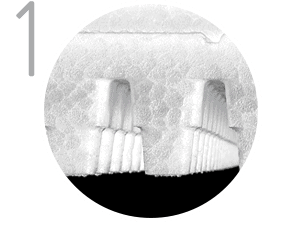 Most manufactured and in situ materials are hybrids that are mixtures of components that are difficult or impossible to salvage. These materials are simply more expensive to recycle than to dispose of, which means that they inevitably end up being burned or in a landfill. PowerBase PLAY™ is instead a pure non-toxic product that can be used for closed-loop recycling over and over again.